Short movies follow the characters Annie and Moby as they explore topics across different subject areas: Science, Maths, Reading and Writing, PSHE, Arts and Technology, and Health. BrainPOP Jr. movies – each running three to five minutes – serve as an engaging way to introduce, review, or further explore a concept. Throughout the movies, “Annie” poses questions that appear on her notebook (printable). When she does, you’ll see the “pause” button turn red, indicating a good time for class discussion. Easy and Hard quiz options allow for differentiation, and addresses higher order critical thinking skills using age appropriate vocabulary. The questions and their answers are read out loud when the mouse cursor is hovered over them. This reinforces reading skills and also helps test for content knowledge and not reading ability. Each quiz also has a print option as well, for more traditional classroom use. Movies are accompanied by a set of features including leveled quizzes, drawing activities, writing prompts, graphic organisers, learning games, and more. These features extend the concepts taught in the movie and allow young learners to apply what they have learned. 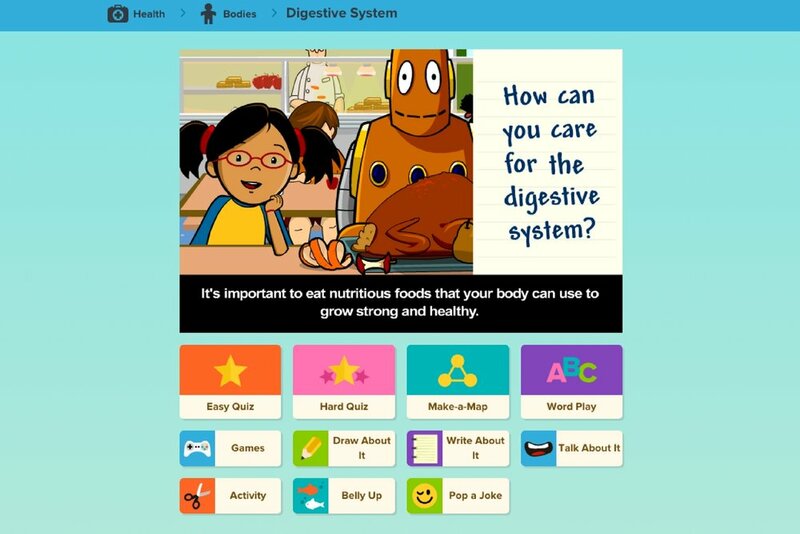 Nearly all text on BrainPOP Jr. is read aloud, reinforcing reading skills and allowing young learners to navigate the site with more independence. Our engaging resources support educators and meet students' different learning styles and abilities. With fully integrated learning units, BrainPOP Jr. encourages further exploration and inquiry, while gently introducing children to comprehension strategies and test-taking skills. BrainPOP Jr. is 'My BrainPOP' enabled, a suite of features that includes individual dashboards for students and teachers, and lets you customise assessments, encourage meaningful reflection, and keep track of learning. 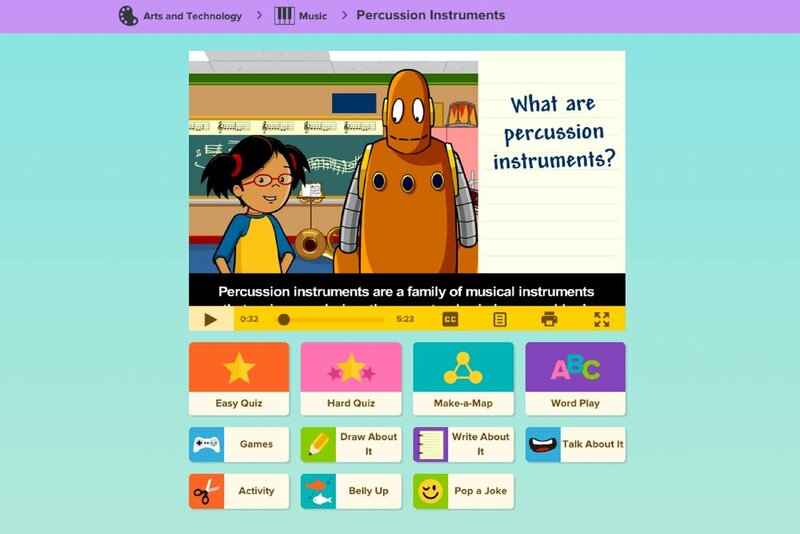 For example, our 'Quiz Mixer' tool allows you to search and modify BrainPOP’s questions, as well as create your own multiple choice and open ended questions. All of BrainPOP Jr's resources have been optimised for use on mobile devices. So if your little ones are iPad crazy, or your school has invested in mobile devices, you can be sure of a simple and seamless experience with BrainPOP Jr.